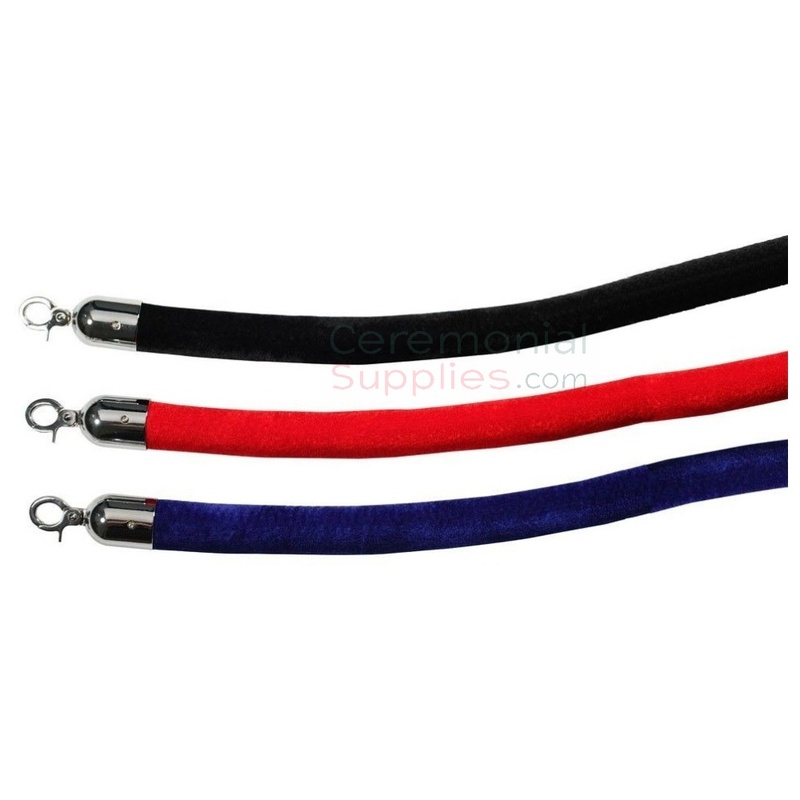 This Velvet Rope features Chrome hook ends. It measures 6.5 Feet in length and is 1.7 inches thick. Velvet Rope is available in colors Black, Royal Blue, or Burgundy. When it comes to managing large crowds in a grand scale event, this Velvet Rope for Stanchions is the best option to choose as their smooth velvety texture is the epitome of extravagance. This Stanchion Rope is available in three velvety colors: Burgundy, Royal Blue, and Black. All three colors are associated with elegance and prestige that is only enhanced by their glossy-finish, chrome hook accents. This added style of luxury is perfect for use in high scale restaurants, hotels, premieres, and many other grand events. Pair it with our Chrome Stanchion posts for the ultimate high class functional accessory.